Writer’s Rumpus posted a few important reminders about making writing a priority. Happy 2016 and may your writing be abundant. My life is a tornado. Sometimes kids, house stuff, homeschooling, church work, therapist duties, chickens, and everything else pull me into a frenzy of activity that I fear I will never escape. So, how to write? 1. Take advantage of the quiet moments: There’s always an eye in the storm. The baby is quiet. The phone isn’t ringing. The older kids are playing cooperatively. You are doing the dishes and you are alone! Take this time to write in your mind. I actually thought of this post today in the car on the way home from a dr.’s appointment. I got home, typed this up, and voila! Do you have Friggatriskaidekaphobia? Fear of Friday the 13th. The fear of friday the 13th is very real to a lot of people and it’s called Friggatriskaidekaphobia. The word itself is frightening, but it’s been around for over 100 years and the fear of the number thirteen has been around even longer. 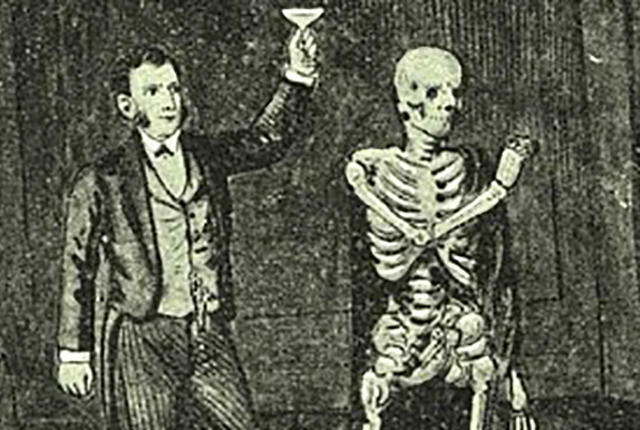 In the early 1800’s, The Thirteenth Club was formed to disprove the fear of the number thirteen along with many other superstitions such as walking under ladders and spilling salt. The club members dared to sit thirteen guests at a table and meet on the 13th of every month. Believe it or not, all members survived. Even though these superstitions have been disproved time and time again some people still hold on to those beliefs—just in case. According Stress Management Center in Asheville, NC, approximately 17-21 million Americans suffer from the fear of one particular day. Their fear causes them to avoid their daily activities on Friday the 13th. Where will you be on this Friday the 13th? I love challenges and I need deadlines! Picture Book Idea Month offers both. Here are the details from Writer’s Rumpus. I’m definitely not a scientist (Hello, me with a C in high school chemistry), but Pauling’s quotation is true for writers as well. Enter PiBoIdMo, or Picture Book Idea Month. Ta Da! PiBoIdMo is a month long picture book fiesta that has taken place every November since 2008. Hosted by picture book author extraordinaire Tara Lazar (The Monstore, I Thought This Was a Bear Book), PiBoIdMo encourages you to dream up, doodle, or write down an idea every day for a month. This will be my second year participating in PiBoIdMo. Last year over 1,300 picture book writers participated and about 800 completed the challenge. 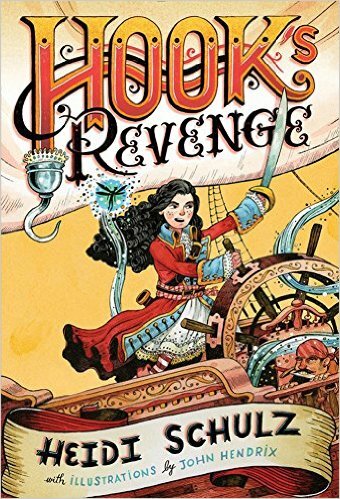 I was first interested in reading HOOK’S REVENGE to see what could be done differently with the Peter Pan story? It was already a terrific story as it was. But, I was blown away by how Heidi Schultz added even more fun and adventure to this classic tale. The reader sees Neverland through the eyes of Jocelyn Hook, Captain Hook’s daughter. Jocelyn was raised on the mainland by her grandfather. When she was 12-years-old she was sent to a boarding school to learn how to be a proper young lady of England. Jocelyn had no interest in that lifestyle. She dreamed of adventure on the high seas and becoming a pirate like her father. So, Jocelyn ran away for adventure which proved to be more difficult and less glamorous than she envisioned. Jocelyn had to dig deep to overcome huge obstacles such as cannibals, the lost boys (including the bothersome Peter Pan), the infamous crocodile and her own lack of experience and confidence. This fast-paced story is wonderfully descriptive with tons of action and even a hint of romance. Peter Pan plays a minor role and there are many colorful cast members who take center stage. One of my favorite parts was the entertaining narrator, a cantankerous old pirate who sometimes insults the reader—very funny! I highly recommend this wonderful adventure story for girls grades 4-6. I recently had the opportunity to read an advanced copy of LAST IN A LONG LINE OF REBELS by Lisa Lewis Tyre due out September 29th. This debut novel takes place in Zollicoffer, Tennessee, a small town with a long history and a little mystery. Lou Mayhew lives with her parents in the center of town in one of the original houses still standing. It also happens to be a junkyard—the family business. Some people in town consider it an eyesore and try to get it removed through eminent domain. Lou is determined to save her family’s house. She enlists friends to help search for evidence that will get the house registered as a National Historical Site. While looking into her family history, Lou finds some troubling news about her ancestors, but also discovers that there might be a stash of civil war gold hidden in or around the house. This book is fun and fast-paced with lots of witty southern humor. The author also manages to weave in some serious topics such as the civil war, slavery and racism. The characters are wonderfully authentic and the story is full of heart. This is the perfect middle grade book for boys and girls in 4-6th grades. Not only is it entertaining, but it opens up opportunities to discuss the choices people make and how they can affect history. 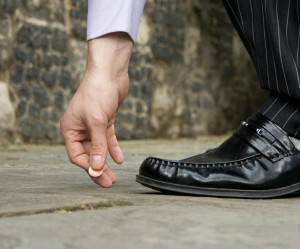 Find a Penny, Pick it Up . . . When people started using coins for currency, the saying changed to “find a penny.” If you found a penny ages ago it was considered to be very lucky and a sign of prosperity. I’m not sure there were many pennies left lying around back then, so finding one was certainly lucky. Now a days, finding a penny isn’t as big of a deal. Even though a penny can’t buy much anymore it may just buy you a little luck. I love a good mystery but not all mysteries are good. Some are just too predicable. A good mystery has to have clever plot twists and an unexpected ending. For middle grade there are some great mysteries that run the gamut of humorous to dangerous. Below are a few books for middle graders who have a fondness for mysteries like me. They are listed from younger (9-11) to older readers (11-14). EDDIE RED UNDERCOVER: MYSTERY ON MUSEUM MILE and the sequel MYSTERY IN MAYAN, MEXICO by Marcia Wells. 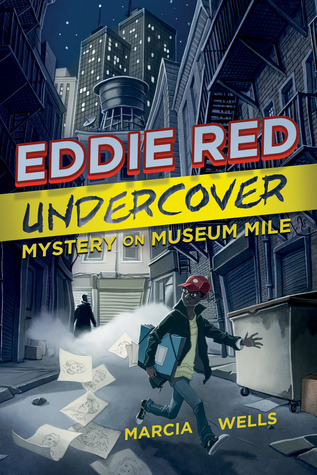 Eddie Red is a sixth grader with a photographic memory and artistic talent that proves to be very helpful to police. The books are fast paced with lots of clever boy humor. The reader is taken on a journey around New York City and Mayan, Mexico. DOUBLE VISION series by F.T. Bradley. This trilogy stars look- alike double agents who don’t particularly like eachother. They sometimes make solving the mystery a competition. These stories are fast-paced with lots of action and cool gadgets. The settings are wonderfully vivid and educational, taking place in Paris, Washington D.C. and Hollywood. THREE TIMES LUCKY by Shelia Turnage. This is a mystery with a lot of heart. Mo Lobeau is a mystery herself because she washed up in the town of Tupelo Landing during a storm and has been there ever since. Her and her friend Dale are self-proclaimed detectives and are out to solve a murder. The southern dialect and humor make this a fun read. THE WOLLSTONECRAFT DETECTIVE AGENCY by Jordan Stratford. 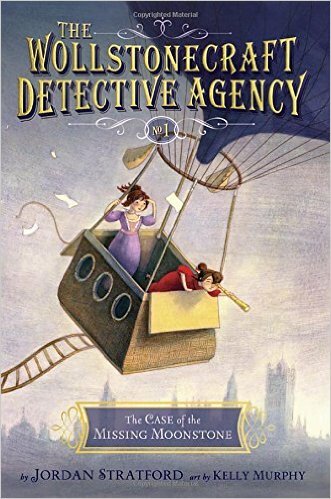 Two unlikely friends team up to form the Wollstonecraft detective agency. Ada is an 11-year-old genius with an abrasive personally who looks at the world very analytically. Mary is well-manered and imaginative with an adventurous side. The two are “clever and clandestine.” The characters are based on real women in history and the setting is authentic1826 London which makes this not only entertaining but educational. CAPTURE THE FLAG by Kate Messner. Anna, Jose and Henry are snowed in at a busy Washington D.C. airport. They are trapped with many other travelers and some mysterious ones. When the famous flag that inspired “The Star Spangled Banner” turns up stolen, the three realize they are snowed in with the thieves and have to help track them down. 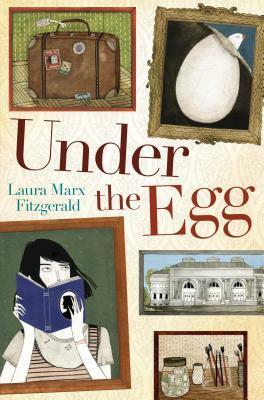 UNDER THE EGG by Laura Marx Fitzgerald. Thirteen-year-old Theo lives with her flighty mother in a delapidated townhouse in Greenwich Village. They live on very little. Then Theo accidentally spills rubbing alcohol on her deceased grandfather’s painting and discovers a masterpiece. However, Theo’s grandfather was a security guard at the Metropolitan Museum of Art. Is the painting stolen? Theo has to find out how her grandfather got the painting and what to do with it. 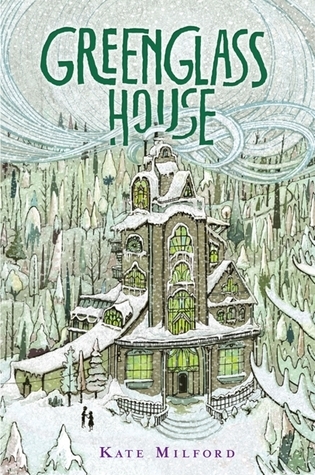 GREENGLASS HOUSE by Kate Milford. Twelve-year-old Milo lives in an old house on a hill that’s also an inn his adoptive parents run. The guests, however, are often smugglers making their way though town. During one Christmas break some unexpected guests arrive. They are not only peculiar but they all have interesting stories to tell. Milo, with the help of Meddy, find many hidden treasures in the old historic inn that help them discover what may have brought these strange guests to Greenglass House. We’ve heard of professional athletes having some serious superstitions, but Presidents of the United States? Yep, even leaders in the highest office have held onto certain beliefs for luck. Here are a few Presidents known to believe in a superstition. William McKinley (25th President) wore a red carnation in his lapel for luck. Occasionally, he would give it away but he always made sure his staff was ready to replace it with another one. Franklin D. Roosevelt (32nd President) held onto the old superstition of fearing the number 13. He would avoid traveling on the 13th of the month and would never sit at a table with 13 guests. 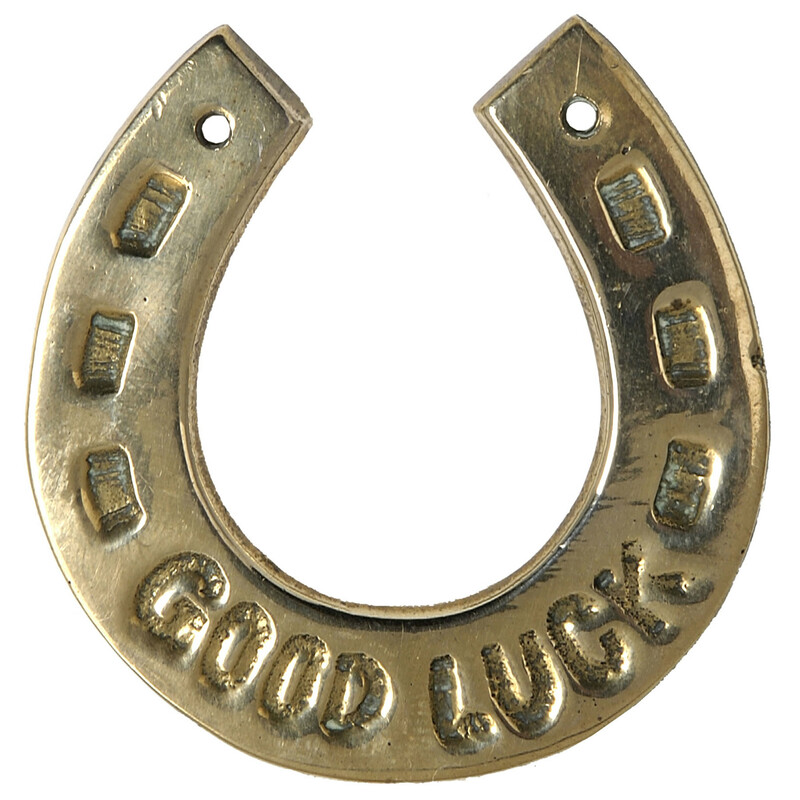 Harry Truman (33rd President) hung a horseshoe over the door to his Presidential office for luck. One superstition starting with Gerald Ford (38th President) stated that the candidate’s wife who won the Family Circle baking contest would win the presidency. President Barak Obama is known to play basketball on important election days for luck. Another superstition in Washington is the Redskins Rule. It’s believed that if the Washington Redskins win the last home game before the election then the incumbent president will win. I hope superstitions never influence any important decisions because I believe you can’t go looking for luck . . . it finds you. Superstitions were widespread in the 1800’s. People believed it was bad luck to break mirrors, spill salt, and walk under ladders, but none was more evident than the fear of the number thirteen. In fact, the thirteenth of every month was considered unlucky and so was every Friday—not just Friday the 13th. People were so superstitious that their unfounded beliefs distracted them at work on the days considered to be unlucky. Captain William Fowler sought to bring an end to those strange beliefs and prove them false by starting the Thirteen Club. To challenge this belief, the club met on the thirteenth of the month, members sat thirteen to a table and ate dinner at precisely 7:13pm. During one dinner, the club added candles to everyone’s seat. The first candle to extinguish would be the first to die. Of course, that person didn’t die within the year and all the members were living proof that the superstitions were untrue. Although the social events seemed lighthearted and fun, the members took their position seriously. One of the roles of the club was to reverse Friday’s bad reputation. They believed the superstition stemmed from the fact that Fridays were “hangman’s day”—the day when judges scheduled public hangings. The club members made use of their respected positions in the community and convinced judges to execute criminals on other days of the week. Five Presidents of the United States were honorary members of the club along with many Senators, Governors and other statesmen across the country. The club’s moto was morituri the salutamus which means we who are about to die salute you. This latin phrase originated in the times of Rome gladiators who would say this to their emperor before going into battle. Although the club no longer exists today, many people refuse to let go of this strange superstition. 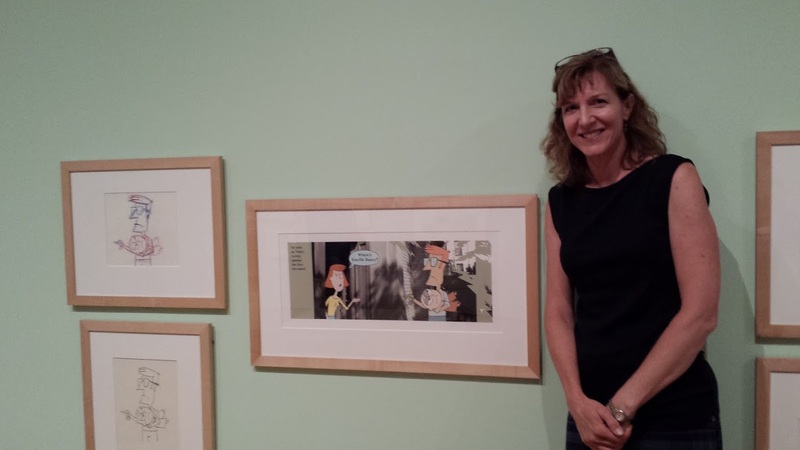 Last night, I had the pleasure of hearing Mo Willems speak at the High Museum in Atlanta. He definitely has the right formula for writing children’s book. He’s honest, has great sense of comedic timing and is authentically empathetic to children. Some of the best advice he gave was that books are more intimate than other forms of media. That’s because “books speak to you in a whisper,” and unlike television, a book doesn’t tell you how much time to spend with a scene—you can take as long as you wish. Age Old Debate—Which is Better, the Book or the Movie?